Cafe Kumbuk opened up a second location at the Colombo Good Market opposite Racecourse Grounds. 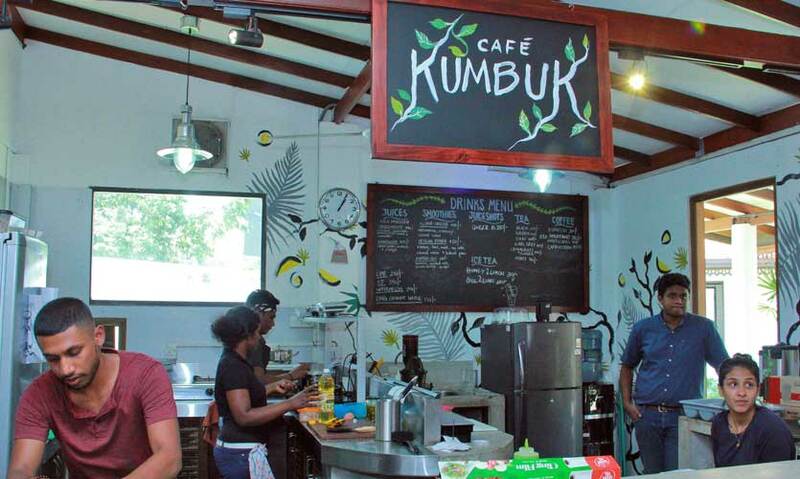 As a vendor of the Good Market, Cafe Kumbuk has always been in close association with the Good Market and its product, as owner of Cafe Kumbuk, Shana Dandeniya herself used to work there. The Kumbuk Good Market cafe was an idea that came spontaneously and one that went into operation within a couple of weeks. The idea is to create a cafe offering vegetarian and vegan food, creating a concept and menu that is vastly different from Kumbuk's first cafe in Horton Place. "There is definitely opportunity and space for a vegan and vegetarian place in Colombo. Kumbuk Good Market is all about introducing people to try different and new things and see vegetarian and vegan food in a different way,” comments Shana. Having opened its doors a few weeks back, Kumbuk Good Market is already buzzing with customers dropping in for lunch and brunch. We dropped by on a somewhat busy Wednesday and checked out what this new vegan/vegetarian cafe has to offer! The drinks menu has a variety of beverages ranging from iced teas, juice shots, cold pressed juices, tea and coffee. Most of the drinks are based around coconut water. We tried their Green House cold pressed juice at Rs. 480. Made with cucumber, green apple, spinach, ginger, lemon and lemonade, the drink was refreshing and healthy. We also tried the Island Chiller at Rs. 400 which is a smoothie made with just watermelon, rosemary and coconut water. With no sugar, the Island Chiller was a favourite with its slushie like texture and taste. The food menu offers salads, bowl dishes, sandwiches and dessert, and attempts to incorporate Sri Lankan products like jack fruit and cowpea into the dishes. Chef John of Kumbuk Good Market created the menu with health consciousness and all dishes prepared focus on using healthier alternatives for ingredients such as sugar and oil and organic products where possible. We began with their Tex Mex Salad at Rs. 550. 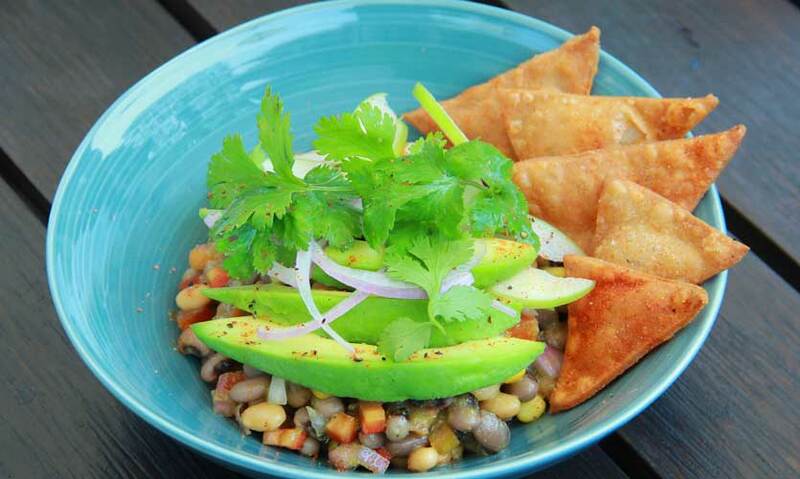 The salad is an assortment of grains such as red and white cowpea and vegetables like avocado, tomato, onions, bell pepper and coriander. Mixed together with a Southern curd dressing and served with a side of homemade atta flour tortillas - the salad had a great balance of ingredients and we loved the spiced tortilla chips that accompanied the salad! We also tried their Melon and Basil salad at Rs. 500 which was our personal favourite. 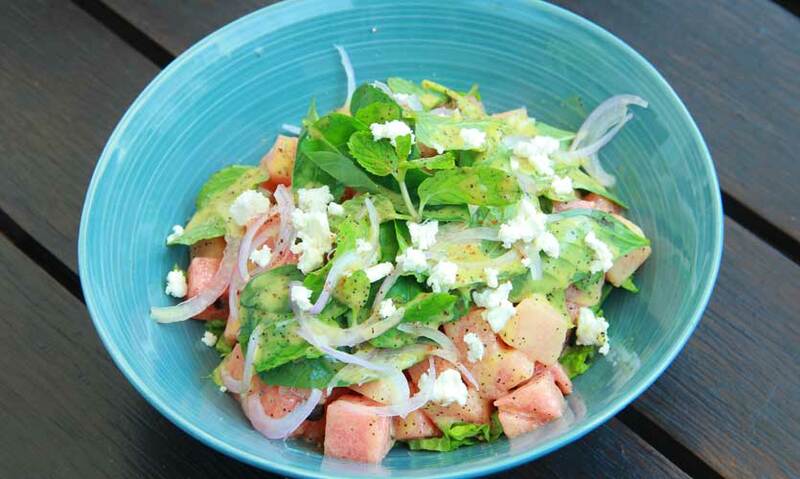 Made with just three ingredients; watermelon, mint, basil, feta cheese topped off with a passion fruit dressing, it was surprisingly flavourful. Lastly, we tried their Jackfruit Sloppy Joe at Rs. 650. 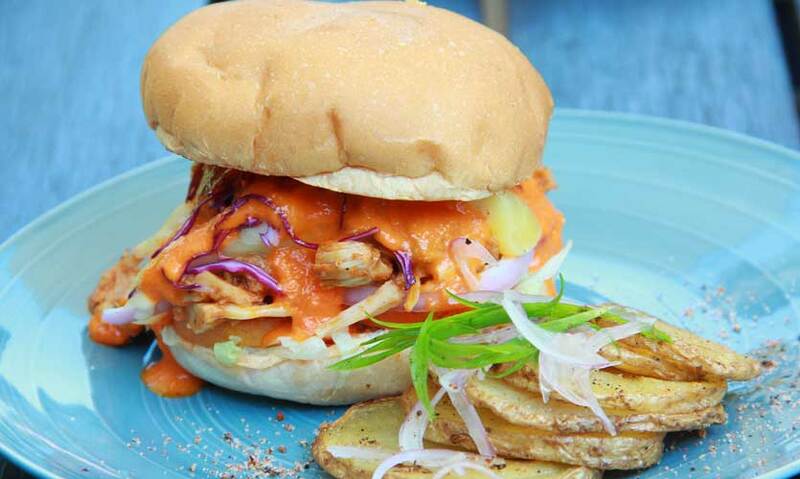 A one of a kind veggie burger, the Sloppy Joe was made of curried and pulled polos thrown together with lettuce, onions, gherkins, cabbage and a Thai BBQ dressing, sandwiched between two soft buns. Served along with the burger is a side of oven roasted potatoes. 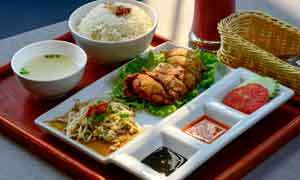 The menu also contains a variety of pastas, pestos, pol sambol toast, wraps, granola and warm oats. And leaning towards the sweet side, Kumbuk Good Market offers a small range of cakes and cookies as well. Introducing local flavours in a whole new way with attention to presentation and flavours - Kumbuk’s Good Market Cafe is a must try-out spot whether you’re a vegetarian or a meat lover! Operating with a concept of an open kitchen, one can always see their orders being made. With friendly staff and a short waiting time, we were quite pleased with the service at Kumbuk Good Market. Serving up some fantastic vegan and vegetarian food made with locally sourced produce, we loved the whole concept of the Cafe. With a chilled ambiance and a great menu, Kumbuk Good Market makes for a great stop for brunch and lunch. 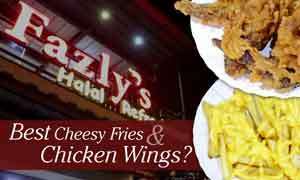 Address - 14, Reid Avenue, Colombo.